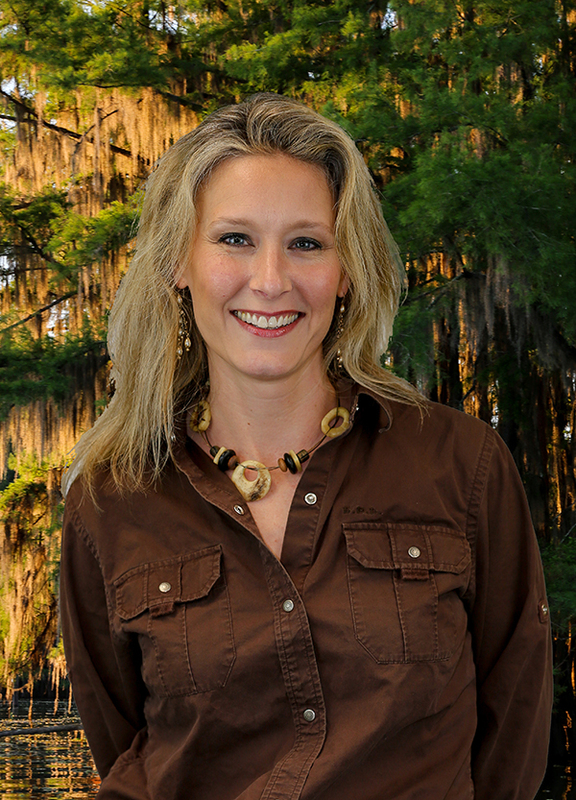 Laura-Ashley Overdyke is the new Executive Director of the Caddo Lake Institute, now based in both East Texas and Shreveport, LA. The Caddo Lake Institute has a 25 year track record of strong science and of bringing the community into planning for the watershed. Overdyke will build upon the conservation efforts by bringing more people into the fold and exploring opportunities for sustainable tourism to benefit the ecological, cultural, and economic integrity of the Caddo Lake region. Before coming to Caddo Lake, she spent two years with the Community Foundation of North Louisiana, overseeing $12 million in Donor Advised and Competitive Grants. While at the Community Foundation she mainly worked with grantees and applicants, but also with donors, and the community as she spearheaded a collective impact effort to improve the overall Health of the Shreveport region. When she first returned to Shreveport, with husband, Lloyd Overdyke, she became the Senior Editorial Producer at KTBS 3. In addition to revitalizing KTBS’ Investigative and In-Depth reporting, she also helped manage 16 reporters. During her time at KTBS, the station went from 1 Investigative story a year to 44 stories a year. This Loyola College Prep graduate also studied at Harvard, and after graduating from Washington and Lee University, she joined the National Geographic Society in Washington, DC. During her years there, she helped launch the Explorers-in-Residence initiative (funding and showcasing the research of Jane Goodall, Bob Ballard, and more.) And, she was a key member during the launch of the Geographic’s first nightly TV news program, managing the research team, producing, and reporting on-air. For the next five years, she travelled the country, speaking on behalf of our nation’s largest behavior change advertising campaign, the White House Drug Prevention effort. Working alongside top public relations and advertising firms, she steered the messaging away from “Anti-Drug” to a more positive brand, “Above the Influence,” giving teens an authentic voice with accompanying websites, ads for Tv, print, and radio. She was the point person for the country’s first prescription drug abuse outreach, launched during Superbowl XLII. During her five years there, teen drug use dropped by 24%. To accomplish this mission, she worked with Cabinet level officials, various departments of the Federal government, and with the President’s Public Relations team. She moved back to Shreveport to help start her husband, and fellow Shreveport native, Lloyd Overdyke’s, Landscape Architecture Design Firm. She’s a member of St. Mark’s Cathedral where she teaches Children’s Chapel, the mother of two girls, and is now so gratified to be sharing her love of Caddo Lake with our region.